This fine Tuesday and Wednesday on SuperPhillip Central sees a total of two new reviews! The second of which will be part of SuperPhillip Central's month of the 3D platformer! But first, let's devote our attention to Soldner-X 2: Final Prototype, a shoot-em-up that takes me back to playing similar games on my Super Nintendo back before I could type well enough to eventually write for my own blog. Let's take flight and see how she handles! Galactic Civil War. Huh! What is it good for? While big publishers have steered away from the types of games that were highly successful in the 8-bit and 16-bit eras of gaming, indies and smaller developers/publishers have filled in the gaps quite nicely, delivering unto gamers platformers, puzzle games, and yes, shoot-em-ups. From Eastasiasoft comes the latter, a technological marvel that's pure eye candy, but also has the great gameplay to back the whole package up. 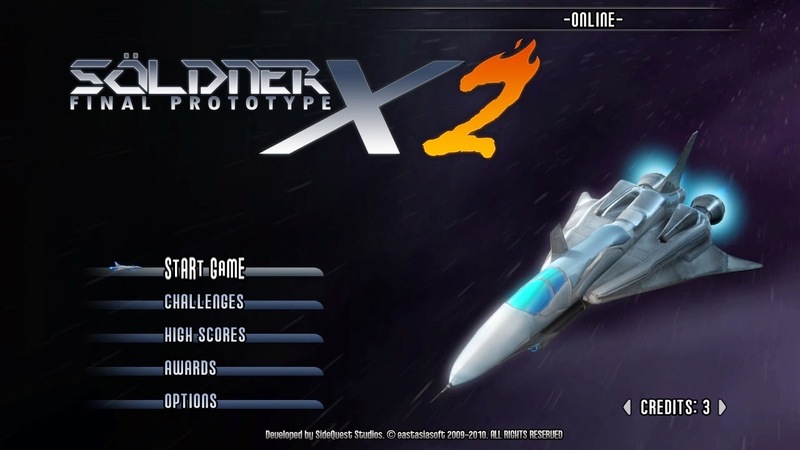 Soldner-X 2: Final Prototype is a digital title on both the PlayStation 3 and Vita that hearkens back to a simpler time in gaming where twitch reflexes, coordination, and a calm set of thumbs were what were in order to save the day from an alien menace. 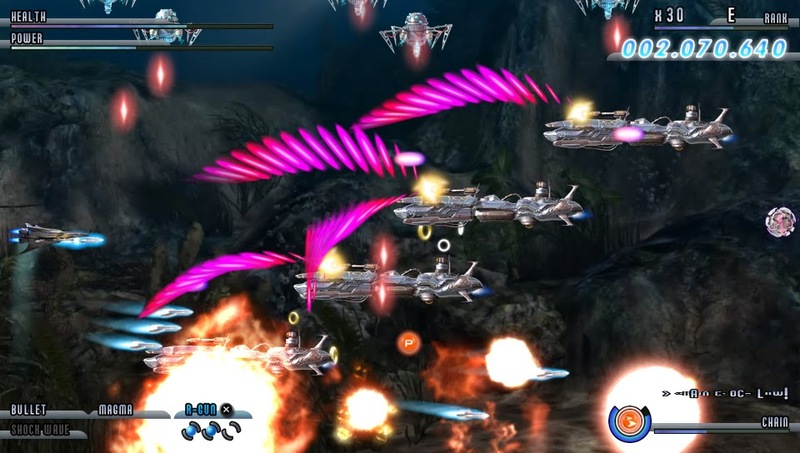 Soldner-X 2 is a horizontal shoot-em-up, or as I'll fondly call it, a "shmup". You control one of several ships, each with their own strengths and weaknesses in battle, through scrolling 2.5D levels, taking out enemy ships while avoid a cavalcade a bullets, lasers, and gunfire. Compared to other games in the genre, Soldner-X 2 is a bit on the easy side, especially for those of you who have encountered so-called "bullet hell" games in the past. 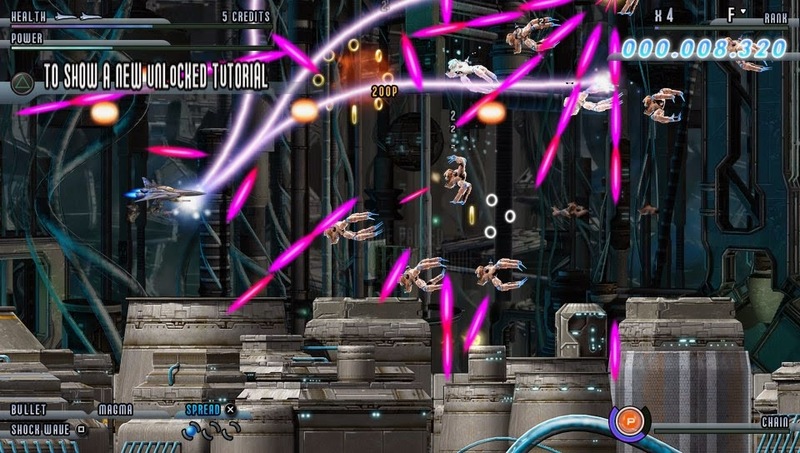 While Soldner-X 2 does stray towards have a colossal amount of bullets on screen at the same time, you don't have to make pixel-perfect movements to survive them as you would a "bullet hell" game. You start out with a selection of two difficulties to choose from-- easy and normal. The other two more challenging difficulties must be unlocked. However, even still, easy and normal can be quite the handful thanks to a clever dynamic difficulty and scoring system. As you play a level, you start at the G rank, as you defeat enemies without taking damage, your rank goes up. The maximum rank it can reach is S. Not only does this make levels more arduous to complete, but it has the bonus of increasing your score multiplier. This is how you achieve magnificent ranks on the levels in Soldner-X 2. ...But then Soldner-X 2 begins throwing more enemies your way. Having a high rank isn't just for increased difficulty and a bonus score multiplier either. In the game, much like the original Soldner, there are secret keys that you collect from dropped ships at certain locations in levels. Collecting all of the these in a level unlocks later stages to play. Some secret keys do not materialize for you to collect unless you're at a specific rank or higher. Therefore, it's important to chain attacks so your rank is high, so your point multiplier is high, and so you can collect the secret keys necessary to see all of the content within Soldner-X 2. Soldner-X 2's general difficulty isn't too taxing, at least it wasn't for me, a person who isn't the best at these types of games. You take more damage at higher difficulties, and enemies enact more complicated patterns. 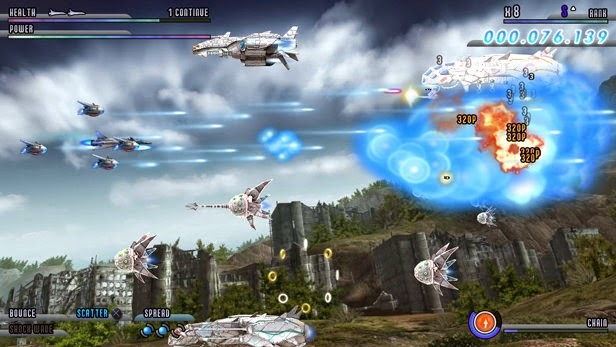 Soldner-X 2's difficulty makes it so even a beginner in the shmup genre can have a blast with the game, and they can challenge themselves as they see fit on whatever difficulty setting they see fit. 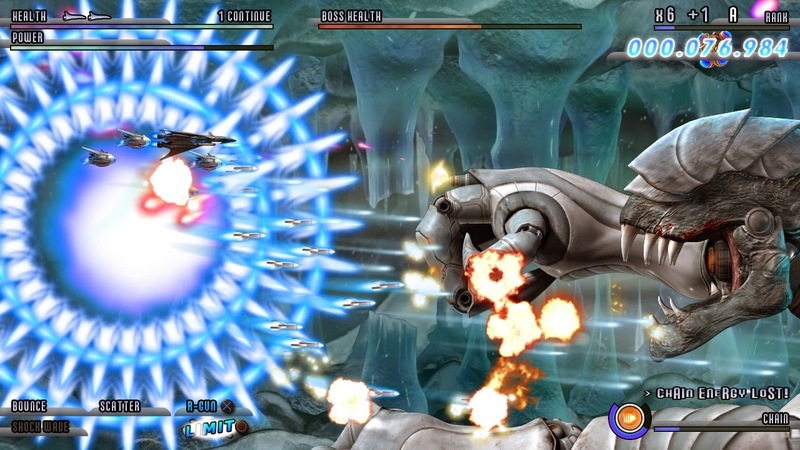 Alongside the main arcade mode, Soldner-X 2 comes equipped with a Challenge mode. 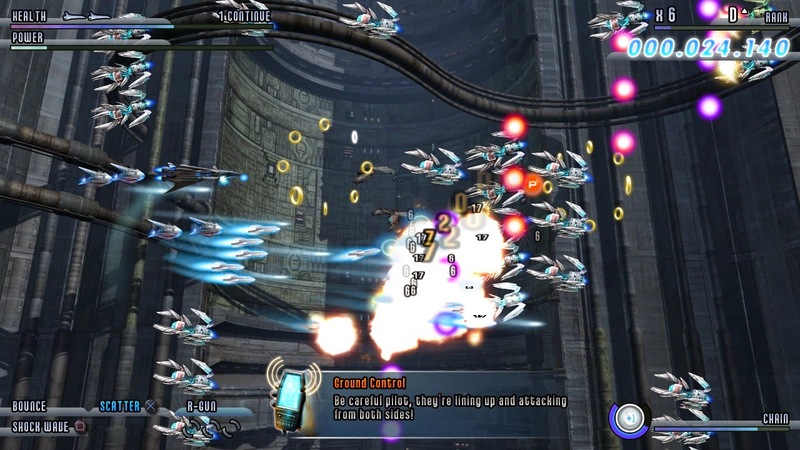 This mode creates scenarios for you to try to complete, such as not losing a life in arcade mode's first three levels or beating the entire game with the handicap of only being to select one weapon throughout its entirety. Completed challenges reward you with such bonuses like extra credits in arcade mode and new weapons for your ships, making them great to not only challenge yourself but to win cool rewards in the process. ...to indoor circuitry and ruins to dart through. Fortunately, Soldner-X 2's development team wasn't satisfied to just add a bunch of new things to make for a better game compared to its predecessor. The team also changed a lot of things for the better as well. For one, the original Soldner required you to ration your shots, as shooting too much meant your weapons needed to enter a cooldown period for a few moments before you could return to blasting foes to smithereens. This has been removed, thankfully, making what would be a very hard game much more manageable to play. In addition to that, gone is the need to switch between weapons to keep your attack chain going. In its stead is the ability to shoot down enemies and pick up golden rings, similar in appearance to what a familiar blue hedgehog would covet. The super affordable downloadable content that released approximately eight months later to Soldner-X 2: Final Prototype, known as The Last Chapter, introduces three new fully developed levels and around a dozen new trophies for those trophy hunters out there. The levels are well crafted and will have your heart and adrenaline pumping just as wildly as when you're playing the standard levels in the base game. Hello there, giant boss. Thanks for the warm welcome! Soldner-X 2: Final Prototype as just the base game or the entire package with added DLC makes for an amazing old-school style shmup with intense side-scrolling shooting gameplay, bosses that cover up half of the screen, and plenty of challenges for both beginning players in the genre and veterans. Everything runs smoothly, the voice acting is superb, and the music gets you in the mood to shoot down the D'arrg menace, regardless of whether or not the story is as purely cliche as any other space shooter. While the need to collect space keys to advance in arcade mode is something I rebelled against in concept, overall, Soldner-X 2 is really remarkable shooter, perfect for gaming on the go or lounging on a couch at home.